Two OVAs released with the 8th and 10th volumes of the original novel. They fall chronologically between the first and second seasons. 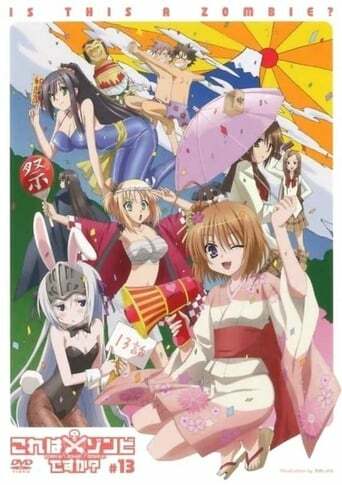 Season 1, Episode 13: Haruna is given the task to hold a Spring Festival at the local shrine, in her own magical-Equipment-girl way, of course... Seraphim does not want to be a freeloader at Haruna's and Ayumu's place, so she starts cooking... And a concentration-game contest in the school's main assembly hall pushes Ayumu and Orito to their limits... (Source: AniDB) Season 2, Episode 0 part 1: Haruna wants to play more with Hellscythe at a swimming pool. Season 2, Episode 0 part 2: Hellscythe's birthday is near! Haruna prepares a birthday party for Hellscythe in her own magical-Equipment-girl-way. What kind of party could Haruna be holding? What kind of birthday presents will Ayumu and gang give to Hellscythe?